Château Suau today is a beautiful 82-acre property, located south of the village of Capian, 35 km from Bordeaux. The 66 hectares of vineyards, in one piece, surround farm buildings. 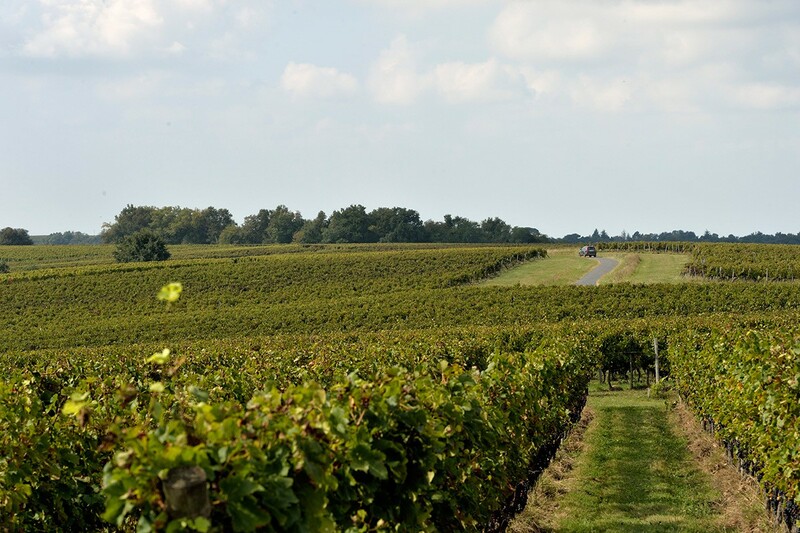 The vineyard produces red wines in the appellations Cadillac Côtes de Bordeaux and Côtes de Bordeaux, dry white Bordeaux and rosé, along with a sweet Cadillac. 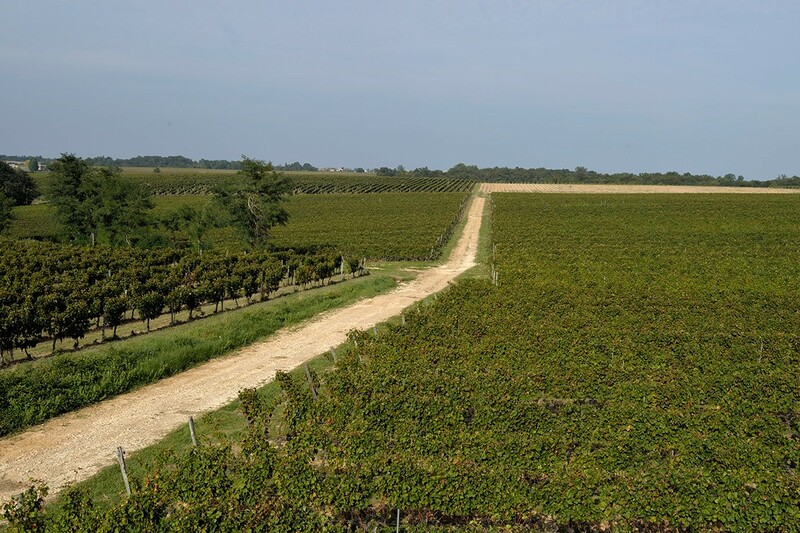 From a geographical point of view, it is located on the highest point of the appellation Cadillac Côtes de Bordeaux, an altitude of 100 meters. The soil is mainly composed of clay and gravel. The different varieties are adapted to the predominant soil type (clay, rocky, stony). The south-south-east at the top of hills exhibition provides both a perfect sunshine for the vineyards and a natural drainage of the soil. 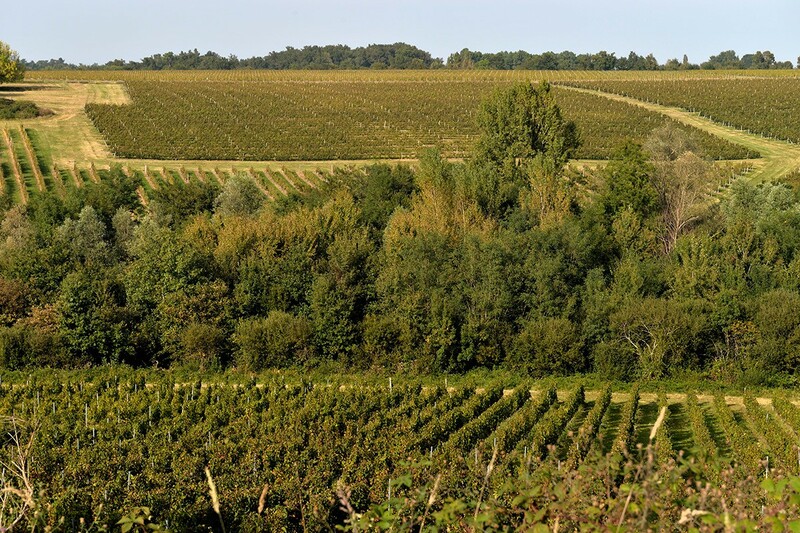 The vineyard is surrounded by forests and hedges, to help maintain a balance between biodiversity, cultivated and wild areas. The density of the vines is 5,000 to 7,000 vines per hectare, high density to ensure high quality. 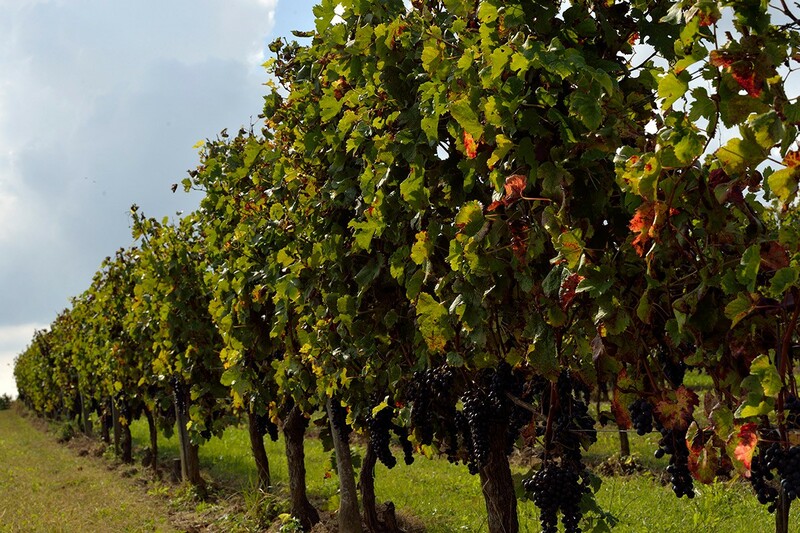 The decision to convert the vineyard to organic farming was taken gradually. Initially, and in accordance with traditional methods, the vineyard was treated conventionally (using chemicals, systemic every 14 days). 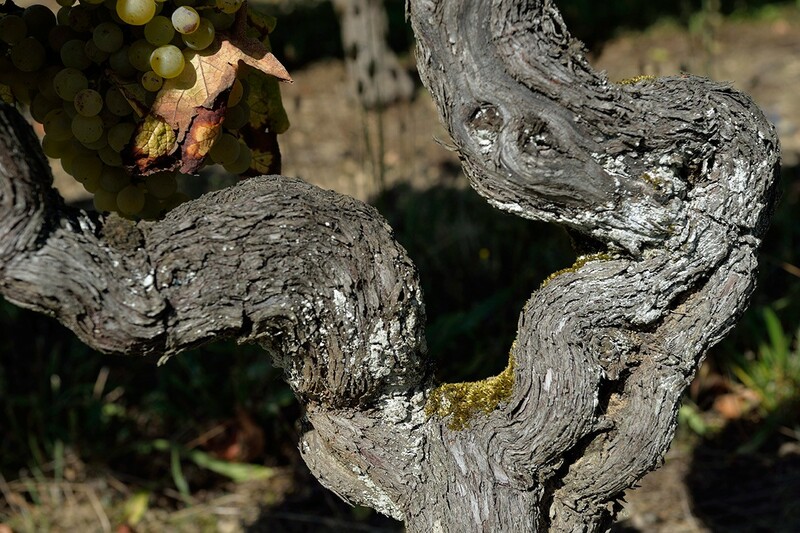 The evolution towards sustainable viticulture progressed quickly (use of chemicals only when necessary). May 2007, the choice of organic farming became obvious. The health of staff working in the vineyards is the starting point. This is the turning point, the moment when we decided to change the way we grow. This decision is not easy to take, because of the economic risks: loss of harvest, heavy investments in equipment, increased wage costs. Membership teams have been essential to the success of this decision. This is another vision of the vine, another wine experience … especially in Bordeaux, where weather is relatively wet. 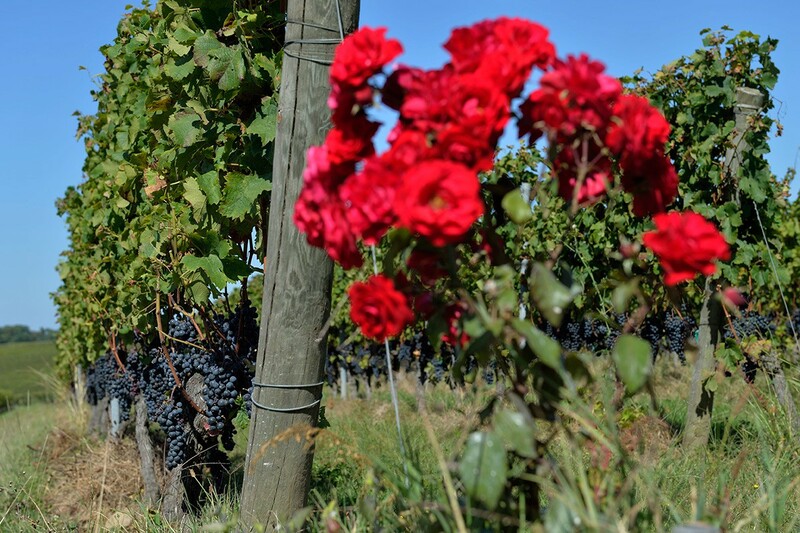 This is why less than 8.5% of the Bordeaux vineyards are organic! This is the price to pay to protect the environment, preserve nature for future generations, but also more importantly, improve the quality of our wines. Since the 2014 vintage, our wines are certified by Ecocert. This action also makes sense, with the history of the Château Suau, as a former property of Joseph Guénant, Vice-President of the Chamber of Agriculture. Château Suau asserts its will to undertake enhanced by its history and its origins. Seeking to find the best way for its vineyards, its wines and its customers, Château Suau continues to adapt and grow in memory and in honor of its rich history. Since 2013, the Château Suau is part of the first association for EMS Bordeaux wines to be ISO 14001 certified. This process began with the implementation of the EMS (Environmental Management System), created by the Interprofessional Council of Bordeaux Wine (CIVB). The EMS objective is to reduce the impact of the vineyard on the environment while improving its overall performance. This environmental management tool integrates both energy consumption, sorting and recycling of waste, farming methods, health and safety of employees, residents and consumers. All of these categories matches in perfectly with our approach of organic farming. We always aim to improve the management of the vineyard. It is with great efficiency and commitment that all the staff of Château Suau is dedicated to this task.